Window frosting, or sometimes called window etch or silver etch, has many different potential uses. 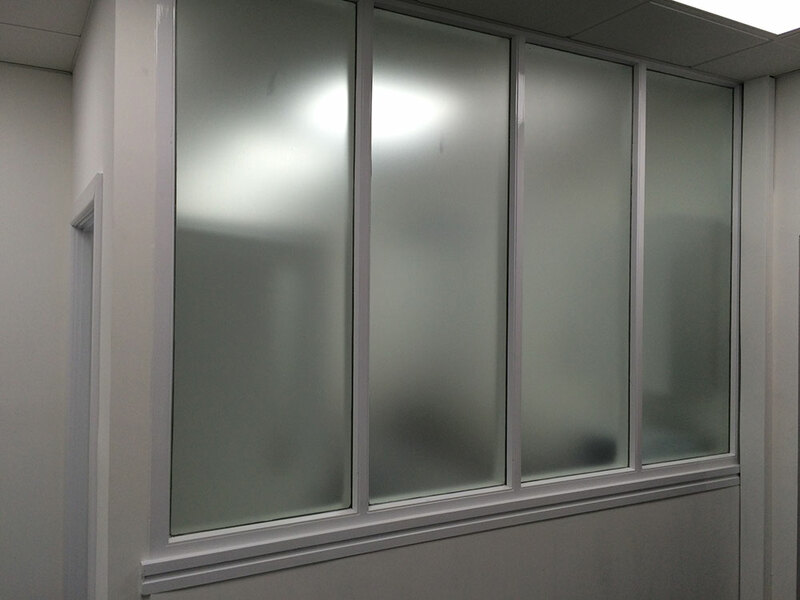 Mainly people use window frosting in the office environment for its great privacy applications, but also used for decorative purposes and high end logo and branding applications. It completely blocks the view both sides of the glass, so is absolutely perfect for small or large windows either for interior glass partitions or exterior facing windows. 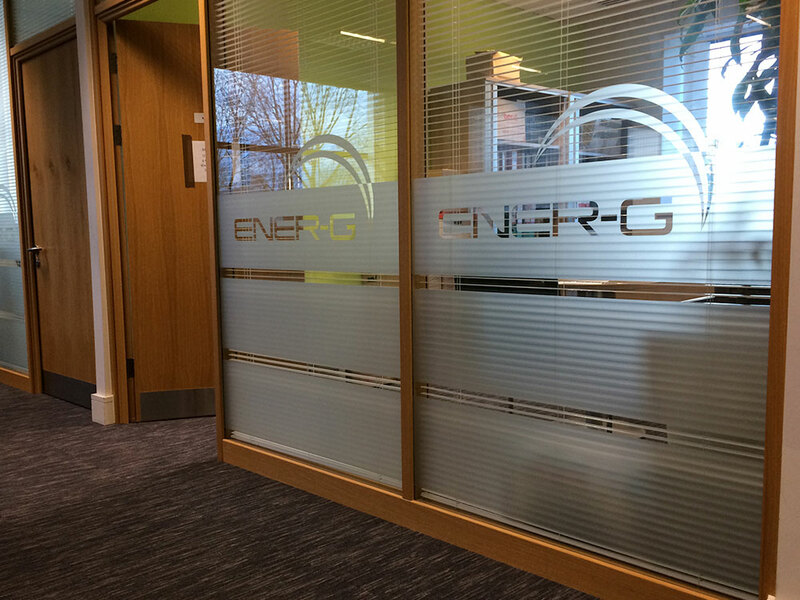 Used extensively in our office branding projects, it is a versatile window film that can be contour cut to nearly any shape or pattern and even printed onto directly.